Opening Hours: 8am to 6pm Monday to Friday, closed on Bank Holidays and at 4pm on Christmas Eve. Our daily rate is £55.50 / day and this includes all care, education, meals, drinks and snacks. We do not routinely offer half day places, but these can sometimes be arranged on an ‘ad hoc’ basis for existing clients subject to availability. The charge for these is £30.50 for a morning session (8am-1pm) and £28.50 for an afternoon session (1pm-6pm). From the start of the school term* following a child’s third birthday, parents can claim government funding for their care and education. All children qualify for the ‘Universal’ or ‘15 hour’ funding which is 570 hours / year (i.e. 15 hours for the 38 weeks of the school year) and some parents qualify for the ‘Extended’ or ’30 hour’ funding which is 1140 hours p.a. (i.e. 30 hours for the 38 weeks of the school year). 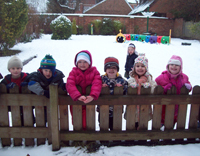 (* Please note, although the nursery is open 52 weeks a year and does not operate on a termly basis, the funding provided by the government is based on these termly time periods). Parental eligibility for the extended hours must be approved by HMRC. In summary, if the child lives in a two-parent family, to qualify, both parents must be in work (including self-employment) and both need to earn circa £120 per week (i.e. the equivalent of 16 hours at the minimum wage) and not more than £100,000 per year. For single parent families only, the parent whom the child lives with needs to qualify. 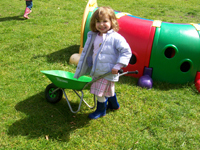 Parents can find out if they are eligible for the extended funding by visiting the government’ childcare portal at www.childcarechoices.gov.uk. * Monthly fees include wraparound care and all meals (i.e. breakfast, morning and afternoon snacks, lunch and tea). ** it is important that all the hours which are funded by the Local Authority are attended, so we offer parents whose children attend the setting 2 days a week the option of claiming either 14 or 16 hours per week. With regards to the funded tariffs (Universal or Extended), the nursery operates what is known as the averaged or stretch model (i.e. we divide the total number of funded hours over each of the 52 weeks we are open) rather than allocating them to term times. We do this so that any charges associated with wrap around care are constant each month. Children claiming the ‘Universal’ or ‘15 hours’ therefore receive 10.96 hours of funding per week over (38 weeks x 15 hours = 570. 570 divided by 52 weeks = 10.96). Families who claim the ‘Extended’ or ‘30 hours’ (1140 p.a.) receive up to a maximum of 21.92 hours per week (38 weeks x 30 hours = 1140. 1140 divided by 52 weeks = 21.92). It is possible for parents to divide their funding entitlement between ourselves and another registered provider. 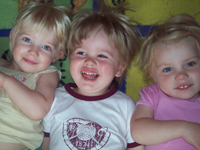 The nursery is registered to accept payments from the government’s Tax-Free Child care scheme’. (This scheme reduces the cost of childcare because for each £8 the parent puts into their account; the government tops it up by £2. More information on this can be found at the Childcare Choice website www.childcarechoices.gov.uk. The nursery also accepts childcare vouchers from a variety of employer provided private ‘salary sacrifice’ voucher schemes such as Edenred, Computershare, Care 4, Sodhexho and others. Parents should speak to their human resources department for more information on this and may also like to visit www.gov.uk/childcare-calculator to find out if they are better off using these schemes or the government childfree tax care option. Fully funded sessions do not include the price of meals, so parents are invited to either bring in food from home or pay for a charge for the meals their child accesses. At The Lighthouse, we are committed to maintaining the trust and confidence of the families that use our setting in every way possible. We therefore take our responsibility towards your right to privacy very seriously and will only use the personal information you provide us with to manage our responsibilities towards your child. The purpose of this notice is therefore to explain how and why we collect personal information about you and your child and what we do with that information. Personal information is any data that identifies you or your child as an individual and / or which relates to you or your child. This includes information such as your address, phone numbers, date of birth, information about next of kin, bank details and, if you are claiming government funding, your National Insurance Number. We may also hold information such as religion or ethnic group and medical information about your child. Photographic images are also recognised as personal information. Why does the nursery collect and use personal information and how? The nursery collects personal information about you and your child in order to provide the best quality of care and education for your child and to meet the mandatory requirements stipulated by Ofsted (our regulatory body) and as stated in the Early Years Foundation Stage (EYFS). From the term after your child turns three years old, we also need certain information to allow us to apply for government funding on your behalf. Due to the close working relationships we enjoy with families who attend our setting, we sometimes also collect information informally as a result of the conversations we have with you so, in order to comply with the General Data Protection Regulations (GDPR), we will always inform you whether you are required to provide certain information or if you have a choice in this. Prior to your child starting at our nursery, we obtain contact details for parents via the booking in form and the contract we have in place for you which also obtains information about who has Parental Responsibility for each child. When your child begins attending nursery, we continue to obtain information about you and your child in a range of ways throughout the admissions process both formally via the ‘All About Me’, ‘Contacts and ‘Consents’ sheet and then informally during the conversations you have with staff during your child’s settling in visits. During the time your child is with us, we will continue to collect information as and when appropriate; for example, if they have a medical or educational need and when they transfer to another setting or school. We may also have information about any family circumstances that may affect your child’s welfare or happiness. Around the time your child turns three, we will also seek additional information from you if you would like us to claim government funding for your child. During the time your child is with us, we will also need to obtain information about any court orders or criminal petitions which relate to you and your child or where child related offences are involved. This is so that we can safeguard the welfare and wellbeing of your child and the other children in the nursery. We will also photograph your child regularly while they are attending our setting and obtain your consent for this as part the admission process. In the learning journals of other children (either in the back ground or because the goal relates to a social interaction goal such as sharing, turn taking, collaborative play etc). All photographs are tasteful and appropriate for use in a nursery environment. If we wish to use the photograph for another reason (for example on our website, in a student’s NVQ folder etc), we will seek specific and separate permission for this. Please note, this list illustrates the main ways in which we obtain information about you and your family, but it is not intended to be exhaustive. A full list of the information we hold and the purpose for holding is detailed in the nursery’s data audit which you are welcome to view on request. Please just ask either Judy or Kat if you would like to do this. If we genuinely believe that the safety or welfare of your child is significantly compromised in anyway, we will provide information to regulatory bodies such as local child protection teams (Warwickshire MASH, Warwickshire Children’s Safeguarding Board), Ofsted, Early Years Team at our Local Authority and / or the Police in accordance with our Safeguarding and Child Protection Policy. Written and verbal details of these concerns will be passed onto your child’s new setting when your child leaves us. If we have a genuine concern that you have or are about to commit a criminal act (including terrorism), we will contact the Police and / or the Channel Team. We may also need to share your information with our legal advisors for the purpose of obtaining legal advice in the event of any dispute or legal action. We may also share some information with our insurance company; for example, if there is a serious incident at the nursery. We may also share some information with our debt collection service in the event of non-payment of fees. When your child leaves the nursery either to attend another early years setting or to start primary school, we may need to provide that setting or school with information about you or your child regarding their developmental stage and any safeguarding concerns. We may share information about you with others in your family in the event an emergency (to arrange collection of your child or out of hours care) or if we have safeguarding concerns or if you or your child is hurt on nursery premises. To any paramedic or medical team who is providing emergency medical care to your child. To our Local Authority in order to process funding you have applied for and to help facilitate your child’s transfer to primary school. This section contains information about the legal basis we refer to when handling your information. Promoting the interests of the nursery. This includes making sure that we are able to enforce our rights against you, for example, so that we can contact you if unpaid fees are due. If you object to the nursery using your personal information where we are relying on our legitimate interests as explained above, please put this in writing to Judy Hall (Owner/Manager). We will need to use your information in order to perform our obligations under our contract with you. Where the nursery needs to use your information in order to comply with a legal obligation, for example to report a safeguarding concern or an act, or potential act of terrorism. We may also have to disclose your information to third parties such as the Local Authority or Police where legally obliged to do so. 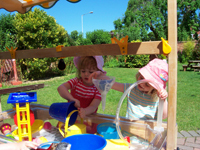 The nursery considers that it is acting in the public interest. This includes medical treatment and liaison with other healthcare or educational services. When your child joins the nursery, we will ask you for your consent for various day to day nursery events such as the application of sun cream and plasters, use of mobility toys such as bikes etc. We will also ask for your consent to give specific medicines (Calpol and Piriton) in specified circumstances and to act in loco parentis in the event of a medical emergency and until you can join your child. At other times, we may ask for your consent for specific activities; for example to leave the nursery go on a trip, to use your child’s photo for a non-standard reason (as explained above), to use brandy in a Christmas cooking activity etc. You may withdraw your consent for any of these activities (apart from our right to seek medical care for your child in an emergency) at any time and, if you would like to do this, please put it in writing to Judy Hall (Owner/Manager). Any use of your information before the withdrawal of your consent remains valid. We retain information about you and your child generally for just as long as we need to in order to provide care for and education for your child and to ensure their successful transition to school. However, we also need to retain any information which may be required for a tax investigation relating to government funding and also to defend any damages claim made against the nursery by either you or your child. There are three main pieces of legislation which govern this; the first is Statutory Framework for the Early Years Foundation Stage – EYFS- (which was given legal force by the Childcare Act 2006), the second are the various UK tax laws which state that HMRC can investigate tax matters for up to six years after the event and the third is The Limitation Act, 1980. In practice, the majority of the records we hold about you and your child will be destroyed during or around the third September after your child leaves the nursery. This is because the Limitations Act states that a damages claim may be brought against any individual or organisation for a maximum of three years after the event. Information relating to a government funding claim will be held for a maximum of seven years and then destroyed (the additional time is required here because the funding is claimed on an annualised basis). Any other information which the nursery feels that it is reasonable to retain – for example Individual Education Plans, directives from health or education professionals working with the child, records of non-standard medication given etc. (NB. This list is not exhaustive but, on written request, we will share this information with you unless advised not to do so by the Police or Warwickshire Children’s Safeguarding Board). If information is incorrect you can ask us to correct it. You can ask what information we hold about you and be provided with a copy. You can ask us to delete the information that we hold about you in certain circumstances. For example, when we no longer need the information. You can ask us to send you, or another organisation, certain types of information about you in a format that can be read by a computer. You can ask that our use of information about you may be restricted in some cases. For example, if you tell us that the information is inaccurate we can only use it for limited purposes while we check its accuracy. The Lighthouse is registered with the Information Commissioners Office (ICO) under Z9532596 and Judy Hall is the named registered Data Controller. In accordance with the guidelines set out in the Early Years Foundation Stage framework (EYFS) “All staff understand the need to protect the privacy of the children in their care as well as the legal requirements that exist to ensure that information relating to the child is handled in a way that ensures confidentiality” and we have a ‘Confidentiality (General), Business Protection & Intellectual Property Policy’ which enforces this. Like other organisations we need to keep your information safe, up to date, only use it for what we said we would, destroy it when we no longer need it and most importantly – treat the information we receive fairly and with due consideration. If you have any questions about any of the information provided in this notice, or would like to check or update your information, please contact Judy Hall (Owner / Manager / Data Controller) or Kat Gracie (Deputy Manager) who will discuss any aspect of it with you / amend your data as required. If you believe that we have not acted properly when using your personal information, you can contact the Information Commissioners’ Office – www.ico.org.uk.